Forty-one of you responded to my challenge last week, to complete the sentence, “Before I die, I want to . . . .” I had quoted Thomas Merton: “If you want to identify me, . . . ask me what I am living for, in detail, and ask me what I think is keeping me from living fully for the thing I want to live for.” Were those forty-one responses your way of telling me who you are? Were they how you tell each other who you are? Thirteen of you said something about your personal life. Some responses were lighter: You want to be a train engineer or go to Disney or see the Grand Canyon. Others were deeper: You want to live a full, joyful life full of happiness; you want to become a better person; you want to enjoy each day more and have fewer worries; you want to be at peace with yourself. Two kinds of responses were divided into groups of equal numbers. Nine of you wrote something about relationships: You want to see your children happy in life, spend more time with family and less time with work, you want to be more loving, caring, and supportive to your friends in need. And nine others wrote about faith formation: You want to study and really know what God intends for us and fulfill the life God wants for you; you want to be a better Christian, live life to the fullest, serve God, have a peaceful departure. Other responses had to do with serving others and sharing your faith. Five of you wrote about wanting to contribute to community, show love to others, serve God and help people more. And four of you said you want to help others find peace and joy in their faith, or let your children and grandchildren know how much God loves them, or make sure your family is prepared for whatever comes their way and be better Christians. Now the question is, are those idle desires, things that would be nice someday, or, to borrow Merton’s words, are those the desires that identify you? Are those the things you’re living for? And are you willing to add the details that make them specifically defining of who you are? Are they things that give order to your life, and do they establish the priorities around which you make decisions about how you live each day? Nicodemus came to Jesus one night with questions about the life Jesus described. I think Jesus was describing the abundant life Nicodemus dreamed about and wanted to live for, and I think Nicodemus didn’t know how to get there despite all the details he had clustered around his dream. He simply didn’t know how to take the next step. And when Jesus told him that no one can even see that life without being reborn, this time “from above” (John 3:3), Nicodemus hit the wall of his own intellect, his own ability to create the results he desired. “How can that happen?” he wanted to know (John 3:9). Maybe it would start for Nicodemus like it started for Abram. He would have to leave his kindred and his father’s house (Gen. 12:1) – leave the life he had known, the world into which he had been so effectively socialized, and start the journey toward something new. And he would have to start the journey without knowing what the destination looked like, which meant he would have to give up his favorite visions of what his future would hold. He would have to trust that God would show him the destination, in God’s own time. Knowing our destination is not journeying in faith; it’s simply relying on our own wits and expecting God to help us, and it’s bound to bring us to a dead end sooner or later. 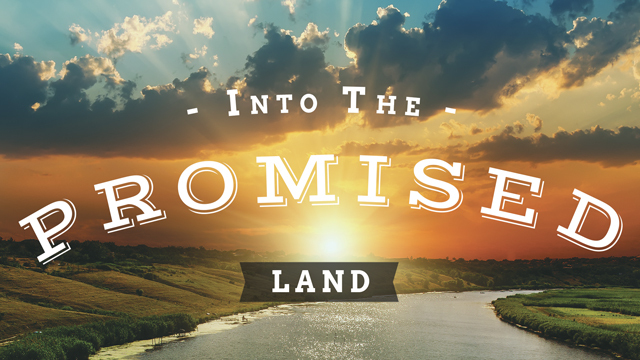 But cutting loose from what holds us, surrendering even the things we’re living for in all their precious details, and stepping out toward something God will show us in God’s own time – now there’s a journey of faith, there’s the labor of new birth, there’s the first step into the Promised Land. So forget about giving up your trifling indulgences for Lent. Instead, give up all you know, all you have counted on in the future, and throw yourself into the mercy of a loving God. I read this recently: Lord God. We ask that you make us expectant rather than planners: we ask you to make us seekers rather than know-all’s. Prayer of George McLeod. (founder of a monastic community in Iona) I’ve felt very challenged lately to ‘begin again’ fixing my eyes on Jesus and letting Him author not me. a blank page, not knowing but knowing the One who does, takes a deeply significant trust. Your last paragrapgh isnt a concept but a reality God is lovingly beckoning us to. Thank you for your comment. That last paragraph is for me a deepening reality and a deepening challenge, one that I find to be enriching my life in hard and unexpected ways. It feels more real than I knew reality could be, and more of a blessing. ← Before I die . . .